BECAUSE, IN PROTECTION, WHAT YOU DON'T KNOW CAN HURT YOU! The BBA produces the leading industry publication to keep members informed of current affairs within the protection world. Get the latest information affecting your operating environment. 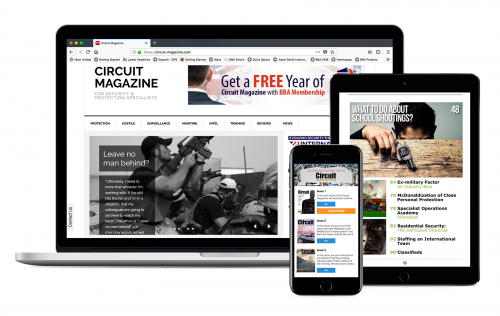 The Circuit is the Magazine of the protection industry. A bi-monthly, full colour, digital publication written by experienced close protection operators for operators. 'The Circuit' covers a diverse variety of topics from within the industry including Close Protection, Surveillance, Private Investigation, IT Security, Hostile Environment, Maritime Security, Residential Security and much more. This is the magazine of choice for those wanting to be 'in the know'!